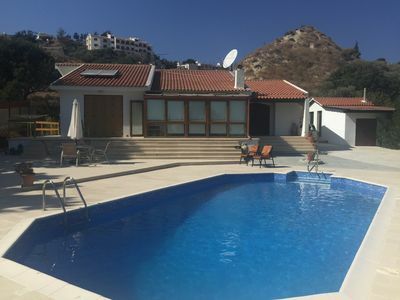 A luxurious four bedroom en-suite villa with private pool and private hot tub Jacuzzi, located just minutes away from the famous awarded sandy beach of Coral bay and the bustling coastline of Sea caves. 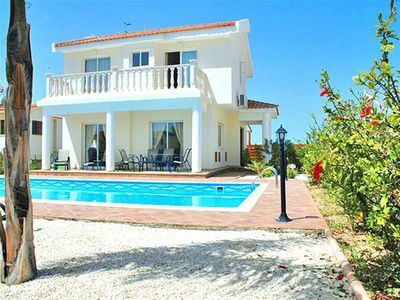 Coral elite villa is the perfect setting to enjoy the beautiful scenery of Coral bay and the cultural city of Paphos in general. 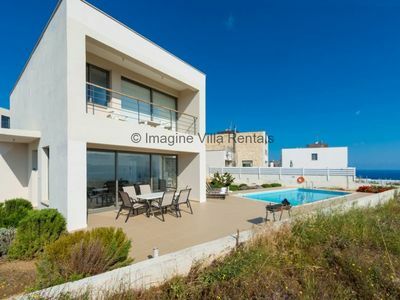 With sweeping views of the Mediterranean, a private overflow pool and a private hot tub Jacuzzi, you’ll instantly fall in love with this modern luxury villa. 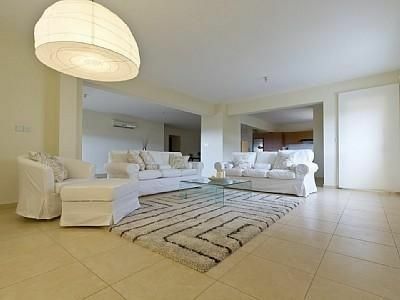 The Coral elite residence is located in a peaceful location in a private, gated and secure complex in Coral bay offering privacy and still close to the beach and the bustling coral bay with all amenities. With accommodation for up to 8 guests, spread between the four en-suite-bedrooms, Coral Elite villa is spacious enough, inside and out, suitable for a family vacation or group of friends or even a romantic getaway or any other occasion worth celebrating in style. Coral Elite decor is simple, yet sophisticated and luxury. The living, dining and kitchen areas are thoughtfully spacious, with modern design throughout with carefully chosen furniture and furnishings. 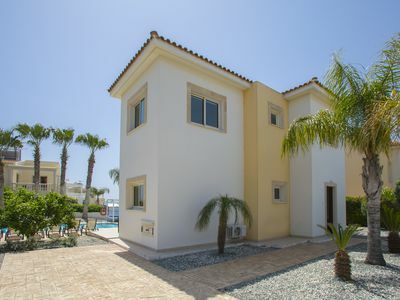 The living and dining space as well as the fully equipped kitchen are on the ground floor that opens out to the patio, furnished with an outside lounge and dining area as well as sun-beds that surround the private pool. 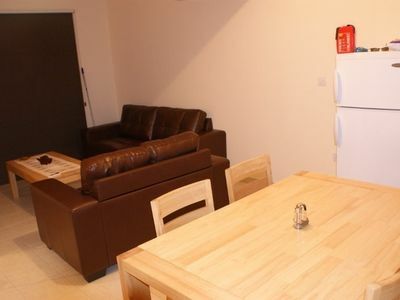 On of the 4 en-suite bedrooms is also located on the ground floor. 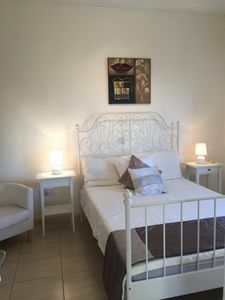 Fully equipped property with high tech features, free wi-fi all around the villa, flat screen TV with android box for all movies and worldwide channels, air-conditioning for hot and cold temperatures and each en-suite bedroom offers space and privacy. Spend your day lounging by the pool, playing outdoor games with the kids, or relaxing inside with the air conditioning and satellite television. Enjoying the hot tub Jacuzzi with views of the Ocean and relaxing with a glass of wine is a must at Coral Elite Residence. Relaxation is imminent at Coral elite. With a private hot tub hydro massage Jacuzzi and a private swimming pool, there’s no room for stress. In fact, the toughest decision you’ll have to make is whether to eat inside or out. The closest beach is the coral bay sandy beach within 1 kilometre and the coral bay centre which is also a great spot for dinner with numerous fine dining establishments and vibrant nightlife surrounding the beach area. 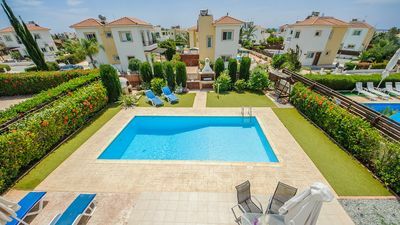 Nearby the villa, you’ll find a sports club with all kind of entertainment for all ages, the coral bay carting and playground areas as well as restaurants, cafes. 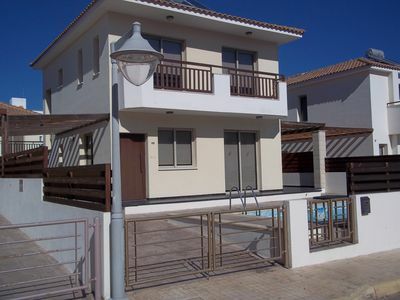 bars, supermarkets and all facilities necessary are within a short drive. 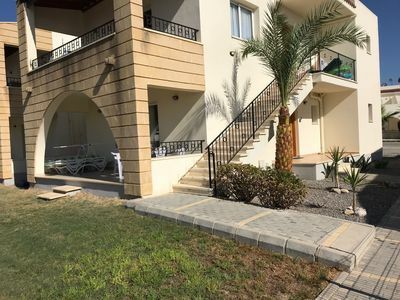 If it’s golf you’re after, there is a mini golf and entertainment area just next to the villa. 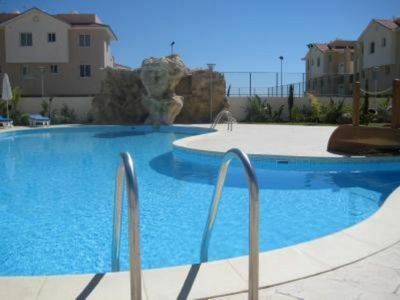 -Coral elite residences are 4 detached private villas of 4 bedrooms each. 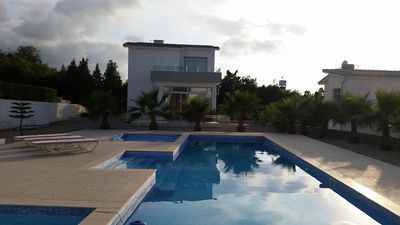 Each villa has its own private pool and hot tub Jacuzzi. All 4 villas are identical and located one next to the other, making them ideal for group bookings / wedding and all kind of events. 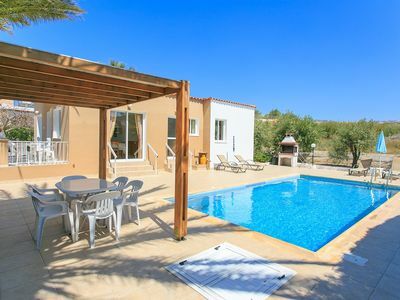 Please contact us for more info and special prices if you wish to book more than 1 villa.